The truth of the matter is that mobile devices are where the future of social networking is. Not only that but this effects the world of ecommerce and businesses of any and all sizes. For this reason, it is important for businesses to get involved in mobile marketing and have a social media presence. This internet marketing need is as important for small businesses as it is larger ones. In fact, it is even more crucial for smaller businesses to do in order to be able to attract inbound marketing. The increase of the amount of times people use their mobile device to connect with social media continues to rise. This is especially true as the number of people who own devices like smartphones also continues to climb, and quite rapidly. The growth rate in both the US and EU over the past year alone was massive. Those users are the ones now getting on their devices and logging into social media networking sites, like Facebook. In fact, the most popular social media networking sites also have apps that help users connect almost immediately. For one thing, the rise in mobile devices being used to access social networking sites means small businesses need to be on board with a good internet marketing strategy that reflects this. Those who wait and try to play catch up after it is beyond necessary are bound to end up left behind. In this day and age, the impact of neglecting to get on board with the latest internet marketing trends can easily make a brand obsolete. Study a newsfeed on a site like Facebook and watch how many people are checking at places using mobile device apps like Foursquare. At one poll taken in 2011 as high as 40 percent of smartphone users admitted they were logging on to social media networking sites on their device daily. In fact, the US smartphone users polled as high as 40 percent also stated they use apps to access their social sites now instead of the smaller 37% that still used a browser-based log in. It may not be easy to stay up with what is current when it comes to internet marketing. In fact, once you finally get one campaign approach going, the game seems to change. If this is the case, you need to work with someone who can help you get on track and hopefully remain current. It is important for you to be reaching those who are now using an app to update their Facebook status. Especially since the app for most mobile devices does not even show the advertisements like a web browser based site on a laptop will do. Make sure if you own a local business customers are “checking in” there. 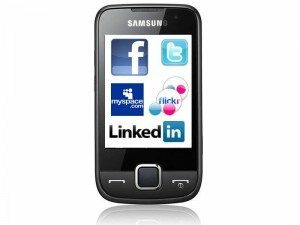 Find out what it takes to get the type of business you have visible on mobile device social media networking sites. Without doing so, you may soon find yourself falling quickly behind the competition.